In Information Communication Technology (ICT) students are learning about safety on the web and have come up with some rights and responsibilities for looking after their computers. At Flowerdale Primary School, we recognise the importance of creating informed ‘Digital Citizens’ who can navigate and collaborate online in a safe and respecfull way. Our technology rich classrooms have access to a range of different technologies including Interactive Televisions, iPads, netbooks and digital cameras. 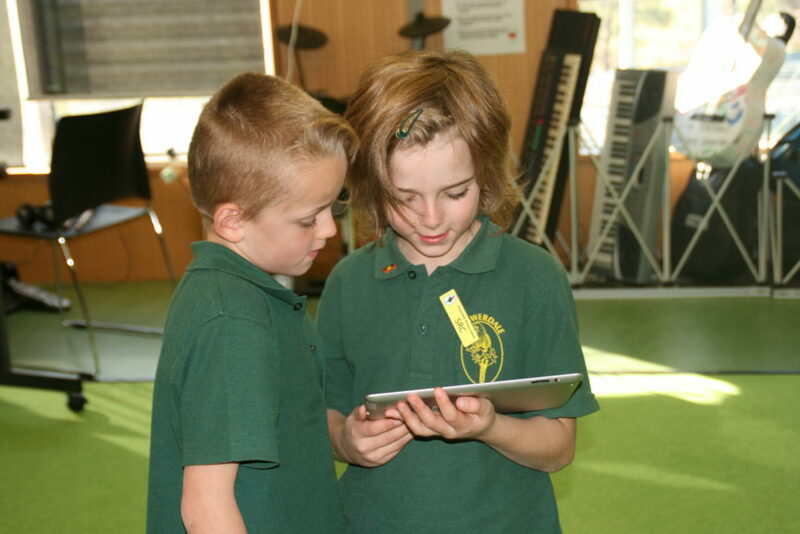 At Years 3-6, students have access to 1:1 Netbook Program which enriches the learning and development of their ICT skills and understanding of how such technologies are used in the real world. For example, using word processing programs to compose writing pieces and using excel to create graphs and data charts in Mathematics or Science. Software such as Seesaw, Mathletics and Padlet, allow students to share their work with parents, collaborate across combined student and teacher groups and create online learning spaces where students can access their work from school and at home. At years Foundation to 2, iPads are used to engage learners through a range of applications that further develop their Literacy and Numeracy skills. Applications such as Mathletics and Jolly Phonics assists students to consolidate learning in the classroom through independent practice of skills being taught. Students in the junior class also work with the netbooks and are supported by an older buddy to learn computer skills.